Alaska has a whopping eight National Parks! With this much beauty, there’s plenty of people who want to see it up close and personal. 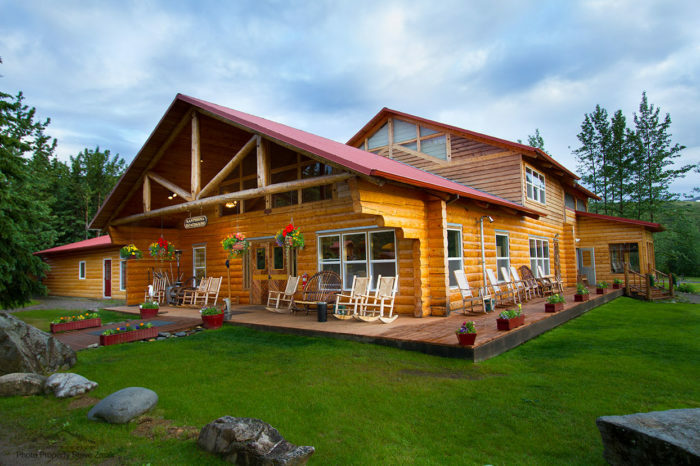 Luckily for us, Denali National Park has an amazing backcountry lodge where you can stay! 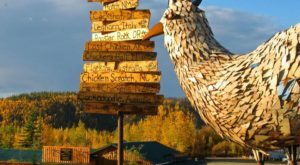 Kantishna Roadhouse gives you the ability to visit the true Alaskan wilderness, while having a lovely place to lay your head at night. 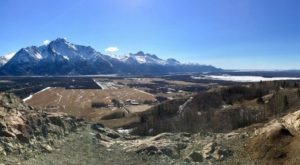 Kantishna is a small unincorporated community inside of Denali National Park. It started as a miner's camp in 1905, located in the Kantishna Hills. The original Kantishna Roadhouse is still located on the property for you to view during your visit! There are two ways to get to the roadhouse. By air, or by bus. Private air charters can be arranged, but most guests elect to arrive on the Kantishna Roadhouse's bus. 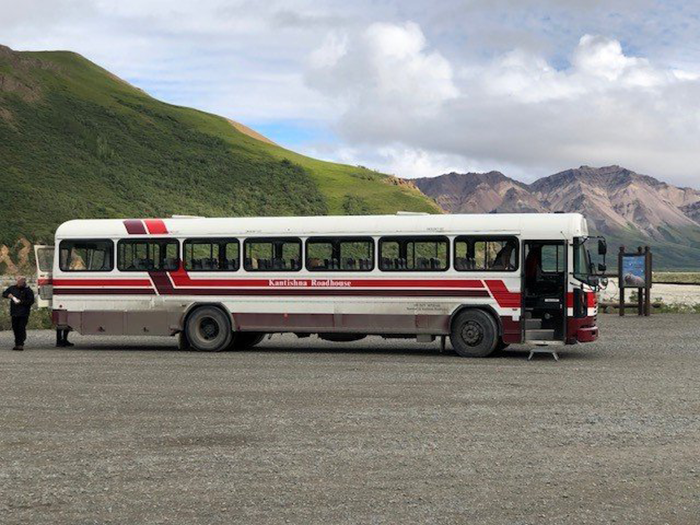 This bus travels 92 miles all the way into the heart of Denali National Park. 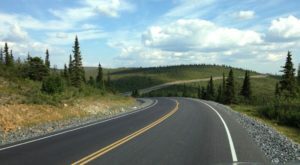 It's a six hour, stunningly scenic drive through the wilderness, where you will see all kinds of sights and wildlife! 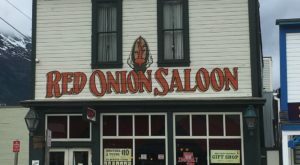 The main lodge hosts the Saloon and main dining options. The Saloon is the only full service saloon in all of the Denali National Park backcountry! 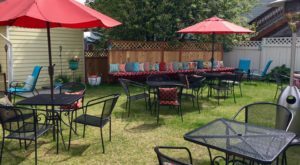 Here you can catch up with other travelers while imbibing Alaskan beers, traditional spirits, and fine wines. 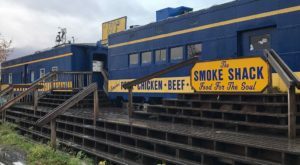 The food served in the main dining area is delicious, and they use Alaskan ingredients when possible! They even have a greenhouse on property where they source as much as possible for your dinner. 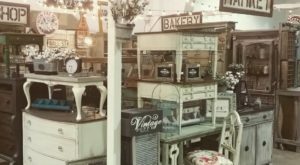 They offer fine, "family-style" meals, where you can eat incredible food for every meal. All of the meals are a part of your room package, as well! 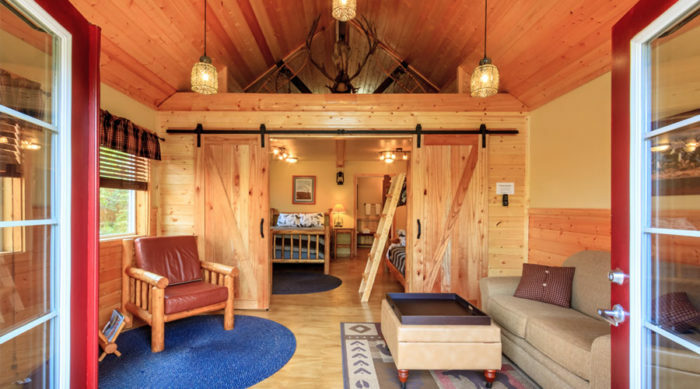 The main option for guest's lodging are cabins sprinkled throughout the property. 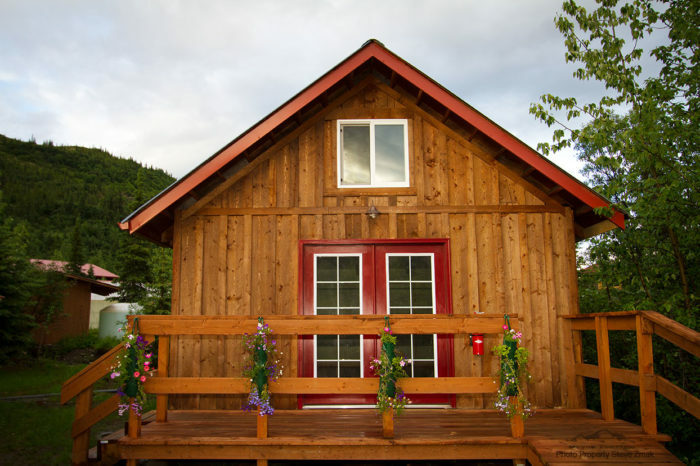 The cabins offer private bathrooms, down comforters or quilts, and full or queen sized beds. Remember, there is no cell service, radio, television, or internet on the property, which means truly relaxing during your downtime in the evenings! The cabins have a definite luxurious rustic feel to them. You are guaranteed to feel comfortable wherever you stay in Kantishna Lodge. They even have a family friendly option, with a king bed and two bunkbeds. 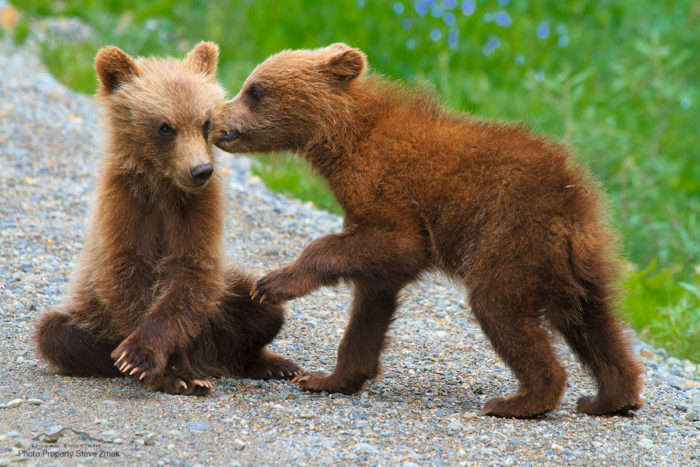 It's easy to get to the Roadhouse from your cabin lodgings, and maybe even see some wildlife on your way to dinner! There are guides available for all sorts of outdoor adventures to go on. 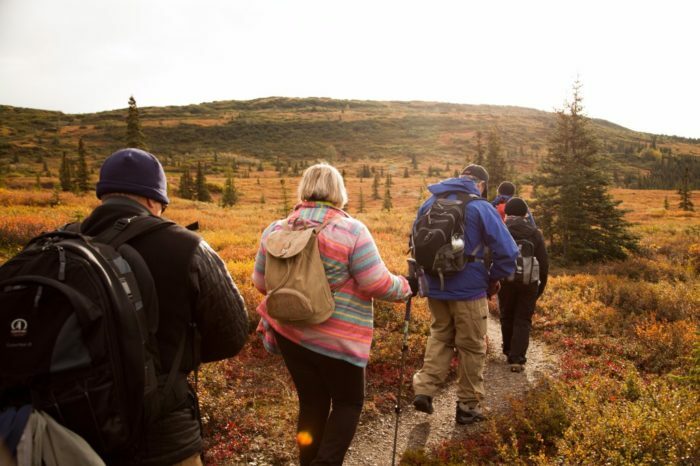 Hiking the local area, including Wonder Lake, is number one on most guest's priorities. You can also meet dog sled teams, go gold panning, try your hand at fly fishing, or even borrow some mountain bikes. For an additional charge you can even go flight seeing! 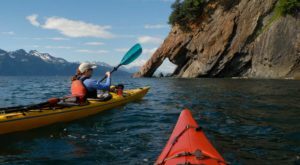 This is a perfect summer getaway for those who truly want to experience the Alaskan wilderness up close and personal. The combination of luxurious accommodations, delicious food, and the lack of connection to the outside world offers an experience hard to replicate anywhere else! 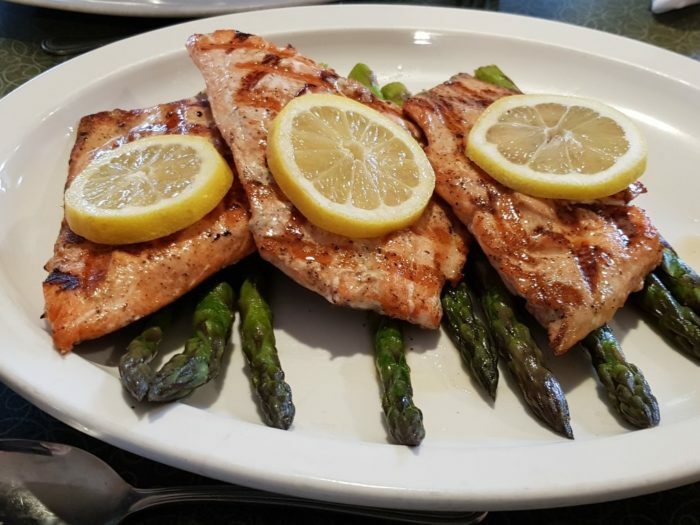 Have you ever had the chance to head all the way out to Kantishna Roadhouse? What was your experience like? Let us know in the comments below! 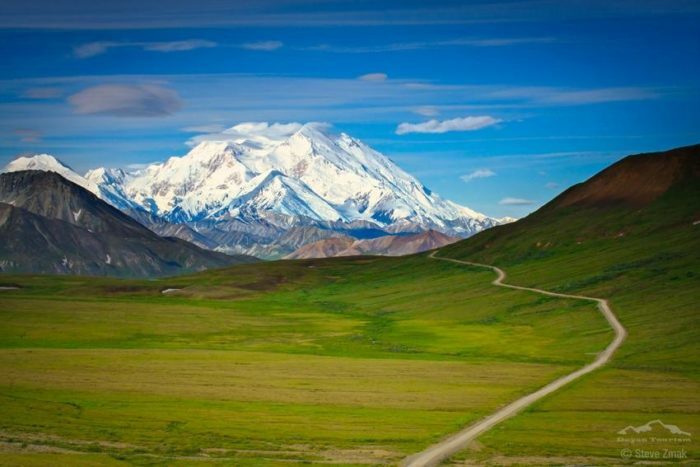 While you’re in Denali, make sure to brush up on your Denali National Park knowledge with these 15 Fascinating Things You Probably Didn’t Know About Denali National Park!